Earth Day teaches people that the planet belongs to everyone, so everyone is equally responsible for protecting it. Although Earth Day is an environmental celebration, our team at Judd Orthodontics wants to remind you that you don't have to wait until then to make changes that will allow you and your family to live a greener life. 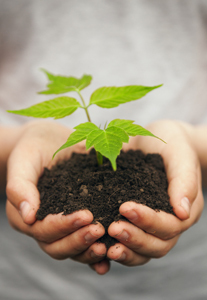 Happy Earth Day from the team at Judd Orthodontics. Parents want the best for their teens and often ask us about the perks of Invisalign Teen clear aligners compared to traditional braces. Invisalign treatment is a style of braces that skips the usual metal and wires, and uses a clear, thermoplastic material to create removable aligners instead. Aligners are custom-made for each patient and replaced every two weeks to attain gradually straighter teeth. Is Invisalign treatment as effective? As long as your child wears the aligners as directed, the answer is yes: they are just as effective as traditional braces. A small blue spot on the back of each aligner will fade after two weeks of proper wear. This enables Dr. Jason Judd to tell whether the child is wearing the aligners. Can Invisalign aligners be removed? The recommended amount of time to wear Invisalign aligners is at least 20 hours a day. They can be removed for up to four hours per day to eat, brush teeth, play sports, or play musical instruments. This makes brushing and flossing easier and helps maintain good oral hygiene! How long does treatment take and what is the cost? Each patient is different. Dr. Jason Judd can determine how many months your child may expect to wear the series of aligners after a consultation. 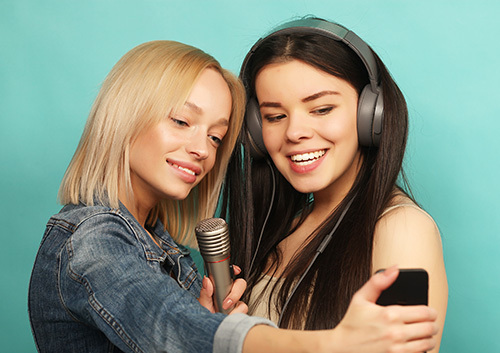 Typically, your teen will wear Invisalign clear aligners about as long as traditional braces The cost is also similar to that of other traditional braces; however, there is no set fee. The cost will depend on your child’s unique orthodontic needs. Invisalign Teen treatment has had remarkable success, and patients love having straighter teeth without the embarrassment of metal braces. As your son or daughter becomes more confident, the patient will actually be more likely to keep up with the treatment and complete it sooner. Speak with Dr. Jason Judd today to learn more about the benefits of Invisalign Teen treatment. Give our Mesa office a call! It's springtime and it's again time to remind our patients at Judd Orthodontics to protect their faces and pearly whites while out on the field playing sports. According to the National Youth Sports Safety Foundation, children, high-school athletes and adults have more than 5,000,000 teeth knocked out in sporting events annually. Having a mouthguard can make the difference between losing your teeth or not, and because many of our patients who play high school sports have jaws that are still growing, last year’s mouthguard may no longer fit as it should. Dr. Jason Judd and our team at Judd Orthodontics can fit you for a new guard. 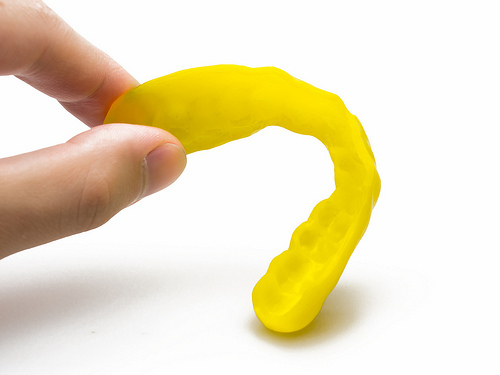 To learn more about mouthguards or for general questions about your treatment at our Mesa office, please give us a call! We proudly offer Invisalign Teen®! Dr. Jason Judd and our team are excited to offer Invisalign Teen, a clear alternative to braces that’s just for teens! With Invisalign Teen, we are able to straighten your teen’s teeth without the hassle, discomfort, and embarrassment of traditional braces. Invisalign Teen’s clear aligners are virtually invisible. What's more, they are removable, which means your child is free to eat anything they choose, as well as brush and floss with ease! And best of all, Invisalign Teen uses no wires or metal to straighten your teen's teeth. Invisalign Teen aligners are made from a lightweight plastic material and fit precisely on the teeth. Invisalign Teen has become a popular treatment here at Judd Orthodontics because it helps our younger patients achieve a straight, beautiful smile without their friends noticing. Our team at Judd Orthodontics is aware that most teens today have a busy lifestyle, and sometimes, they tend to lose things, including their retainers or aligners. But with Invisalign Teen, if your child happens to lose an aligner, let Dr. Jason Judd and our team know as soon as possible and we will have the aligner replaced. For more information on Invisalign Teen, please give us a call at our convenient Mesa office today! Get Rewarded for Being a Great Patient! Earn points for begins a great patient, referring friends to our office, and more. Every point you earn can then be redeemed for gift cards at places like Amazon, iTunes, Target, and Starbucks! Jason K. Judd, DDS, MSD 1942 E. Southern Ave.